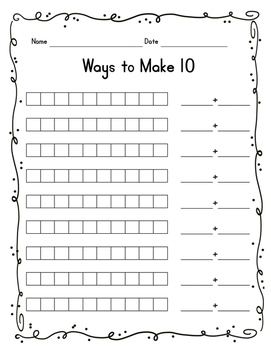 Practice ways to make ten and adding ten plus a number with these worksheets. 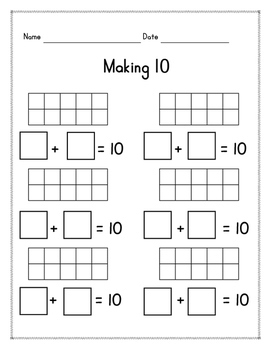 Students use ten frames to represent different combinations of addends to make ten. 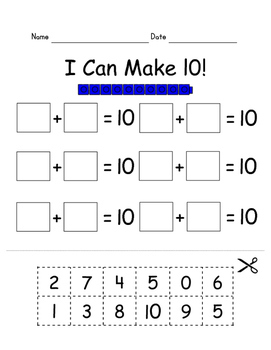 One worksheet requires cutting and pasting addends to equal ten. 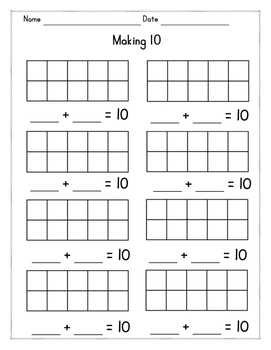 The final worksheet requires students to add ten plus a number - showing why it's convenient to make tens when adding more difficult numbers!